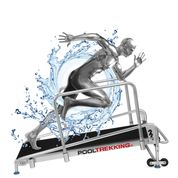 “The Medical” water treadmill is the first treadmill designed with professional rehabilitation in mind. 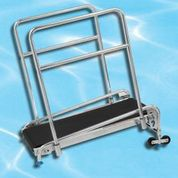 The interchangeable side rails allow placement according to the patient needs; in the front or at the sides. 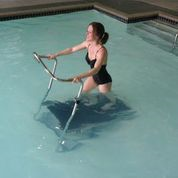 The treadmill easily folds up and can be removed from the pool for storage. 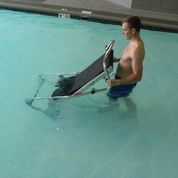 Typical pool depth for this product is 3’ 6” to 5’ (106cm-152cm) deep.